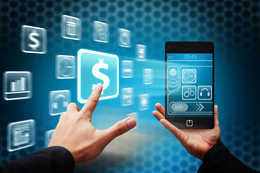 The Mobile Payment Revolution: Are we All Ready? Seashells. Coins. Paper. Credit. Mobile. The world may be on the brink of a new monetary revolution. Major corporations are already drawing battle lines for who will rule the Next Big Thing of human economic interaction. But is the world ready for it? 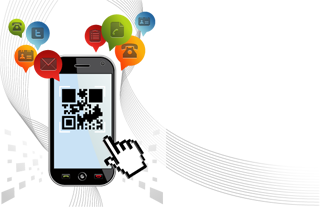 Roughly 100 million smartphones in the United States are capable of transmitting with something called Near-Field Communication (NFC). While normal mobile phone calls are broadcast as radio waves on variable frequencies, NFC communications are not. NFC communications work by generating a slight magnetic field around the phone. Devices within a few inches can interpret this field as data. However, any farther than a ruler stick and the magnetic field is undetectable. This allows information to be transferred securely without a cable connection. By the end of this year, there will be more mobile devices in use than there are human beings on Earth. Within five years, smartphones will be able to make payments at all major retailers in Asia, North America, Europe, and the Middle East. 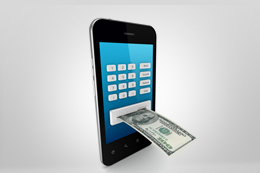 Within ten years, smartphones will have largely replaced debit cards, credit cards, and even cash. As smartphones take the place of our wallets, they will become standard personal items for billions of people. 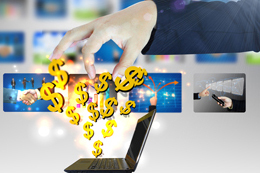 Is your Business Ready for the Mobile Primetime? A major shift in global transactions is coming. The rise of payments by mobile devices will be at least as significant as the rise of credit and debit cards, maybe more. However, it will also be more complicated. The competing standards of the credit card world are fairly simple. Each standard has a brand: Mastercard, Visa, Amex, etc. However the standards of the emerging mobile payment marketplace are going to be much more complex.